BMW is working on a flagship coupe that will revive the 8-Series name, and we have fresh spy shots and video of prototypes. BMW confirmed the model in May with the reveal of the 8-Series concept. 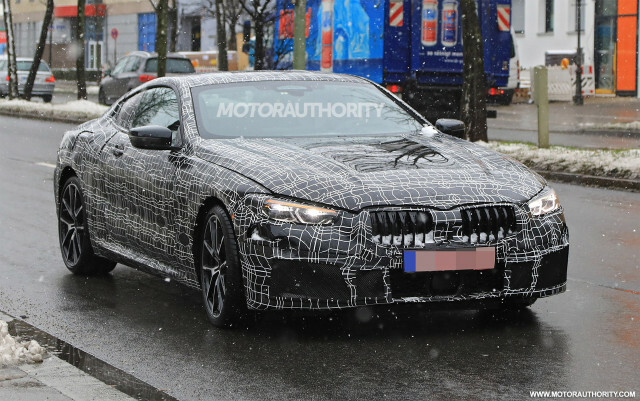 The automaker also confirmed an M8 version with the reveal of a prototype. Also in the works is an M8 race car, an 8-Series Convertible, and possibly even an 8-Series Gran Coupe. The 8-Series looks to feature a low roof and wide, muscular shoulders reminiscent of Aston Martin’s DB9. And just like Aston Martin’s popular grand tourer, the 8-Series will feature four seats arranged in a 2+2 format. 2020 BMW 8-Series spy video from Motor Authority on Vimeo. Some readers will recall that BMW had started work on a large, coupe-like sedan based on the striking CS concept car of 2007. However, the global financial crisis that erupted that year put an end to the project. BMW never gave up on the idea of a large coupe, however, and in 2013 we got a taste of a modern successor to the 8-Series with the unveiling of the Gran Lusso Coupe concept. 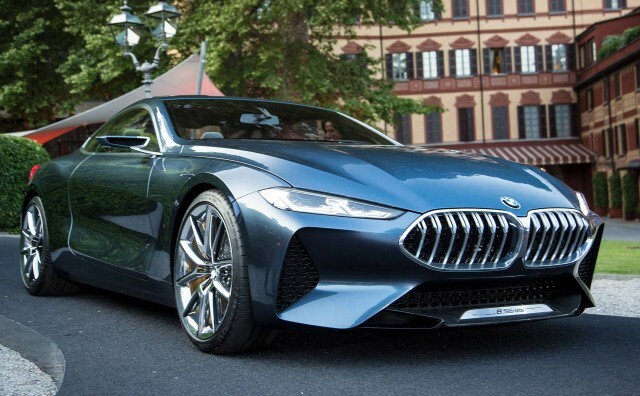 Developed with Pininfarina, the Gran Lusso Coupe marked the start of a partnership between BMW and the Italian design house and is thought to hint at some of the finer design elements of the new 8-Series. The platform is BMW’s carbon fiber-infused CLAR design that debuted in the 2016 7-Series. It should ensure a low curb weight (for a large, luxurious coupe) as well as compatibility with electrified powertrains. We can also expect the latest in infotainment technology including next-generation gesture control. Recent BMW trademark filings suggest V-8, V-12, and M Performance options. The filings included “850”, “860” and “M850.” Any V-12 model should feature the same 600-horsepower twin-turbocharged 6.0-liter engine found in the latest M760i xDrive, while the M8 should come with a twin-turbocharged 4.0-liter V-8 also with 600 hp (the engine features in the 2018 M5). Production of the 8-Series will take place at BMW’s main plant in Dingolfing, Germany, most likely starting in late 2018 or early the following year. This means we should see the car introduced in 2019, as a 2020 model. Rivals will include the Lexus LC, Maserati GranTurismo and Mercedes-Benz S-Class Coupe. To make way for the 8-Series in BMW’s lineup, the slow-selling 6-Series has been given a shakeup. We’ve seen a sleeker 6-Series Gran Turismo replace the ungainly 5-Series GT. We’ve also heard that a proper 6-Series coupe could be coming but will be positioned as a much sportier proposition to take on the Jaguar F-Type, Mercedes-AMG GT and of course the Porsche 911. ‹ Previous Dead Rising 4 Is Finally Out on PS4, but Should You Buy It?